1 What Are Fish Scales? What is one of the ways to prove you landed the “big one”? By proving the weight of your fish one of the best fish scales on the market! Fish scales have been around for a long time and have given anglers proof of bragging rights to the big catch they landed. Even though fish scales seem pretty common and not really something to get excited about, there have been many changes over the years that might change your views about this often underestimated tool. In this article, we are going to cover some of the best fishing scales, proper ways to use them and much more. Fishing scales are a device used to weigh and often measure fish caught by anglers. They ensure you abide by local keep laws, weigh fish for tournaments or just for your personal life list documentation. These scales can be especially important when you are fishing for different species that legally require a specific size and length to keep. Fish scales were first invented in the late 1800s to early 1900s in the form we know them today. They were rudimentary at best but got the job done. These early scales relied primarily on a spring, a hook and a series of numbers on the outside of the housing. When you hooked the fish through the mouth and held the scale-up, the weight of the fish pulled against the pressure of the spring. This pulled the dial to the proper weight. To ensure the weight of pressure was correct, the springs were tested with an already known pressure. There are many of these old scales still around today and still in use. However, the evolution of fishing scales has seen a lot of change over the years. This is to ensure a more accurate weight down to the ounce. Most scales today are now digital and can be calibrated to keep them more exact. They also include a way to measure length. 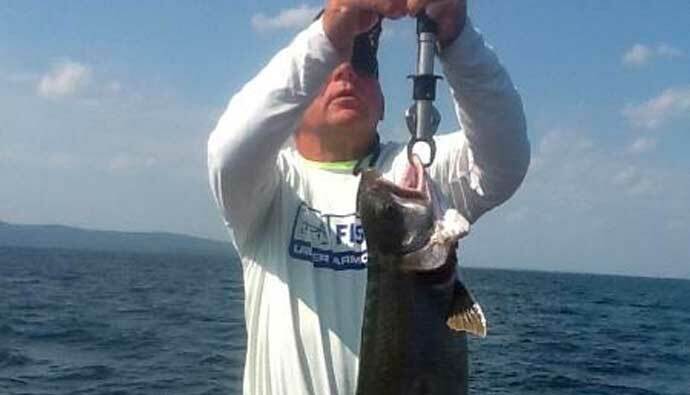 Tournaments such as the BASS Masters, have several methods of weighing fish. These can be single fish weighed at one time or fish weighed on a larger scale. While these scales are much larger than you would take in a boat of could put in your pocket, the smaller versions today are just as accurate. When deciding on a set of the best fishing scales, there are a few things to consider. Accuracy is among the most important. 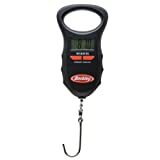 The digital scales we see today put out by brands such as Berkley or Piscifun, for example, are among some of the most popular and accurate. Besides accuracy, durability is also a consideration. Unlike their predecessors that were made of metal that rusted, today’s fishing scales are mostly made of high impact plastics. Also, these new scales offer digital technology that gives exact weights down to the ounce. They also accommodate smaller fish that were too small to be weighed by the older scales. Companies such as Piscifun have also eliminated the need to hook the fish to weigh it. This has been achieved by introducing a “lip gripper” that acts like the lip gripper used to lift fish from the water but is a scale. 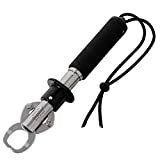 This can be helpful when weighing fish that are toothy or fish that have soft mouths that a regular scale hook could damage. Digital fish scales have the ability to store several weights at once. This can allow you to keep track of your total days catch and also allow you to know which fish to cull if need be. The larger Boga Grip comes in handy for the big fish. Fishing scales also should have a good grip to prevent hand strain. 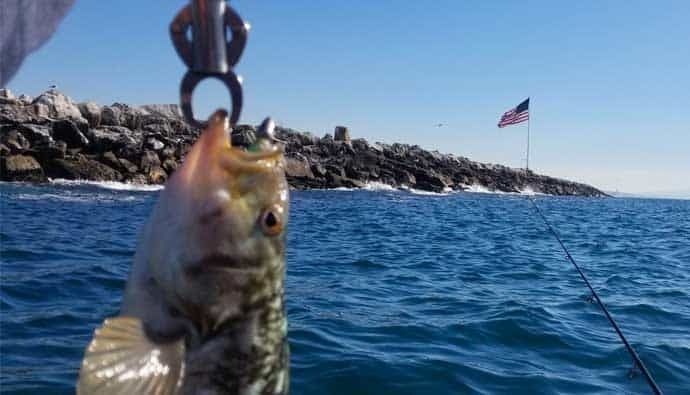 With the high sensitivity of most digital fish scales, if you do not have a firm, steady hold, the weight can fluctuate. Often after a day of fishing, this is due to hand and wrist strain. So ensuring that your scales have a comfortable grip can help you maintain a “steady hand’ when weighing. We recommend a model of fish scales that also offer a measuring tape so you can easily track the fish length. This can be very important to have if the length is a concern legally for example. You have several options as to where to find the best fishing scales. These include sporting goods stores, bait and tackle shops and of course, online. Sporting goods departments in stores such as WalMart carry many of the best brands at prices that fit any anglers budget. Bait and tackle shops will usually have a more focused brand type and therefore a smaller selection. Online will give you a much broader selection as well as more information and reviews. This will help you make a more informed decision as to what will work best for you. Thankfully, fish scales do not need a lot of special care to keep them performing for many years. Make sure you have fresh batteries before going out. Wipe down your fish scales and make sure they are dry before storing. Occasionally test them against an item with an exactly known weight to make sure they are still calibrated correctly. Send them in for calibration each year. The IGFA does this for you for a certain fee and after it comes back you can use it for world record fish. 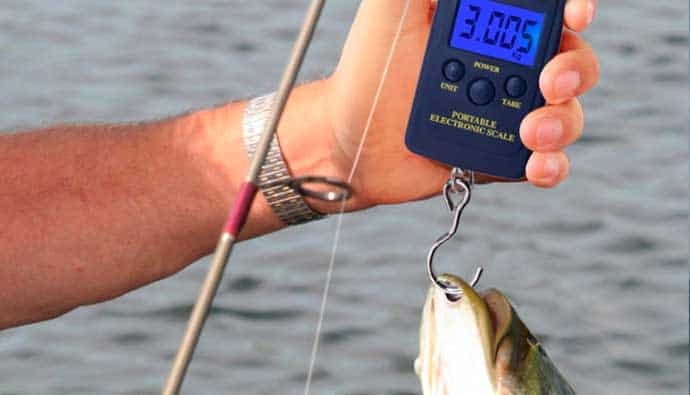 If you are thinking of participating in a tournament or world record fishing, it’s important that you pick a quality scale and get it calibrated. I picked up a Bogagrip and sent it into the IGFA for certification that my scale was accurate to their standards. This scale comes from Berkley which has been in the game for ages. 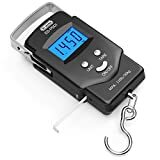 I know a bunch of people with this scale and they use it not just for weighing fish but for checking their drag settings on their reels. When weighted using Persuasion weights, this scale was found to be within 1oz when weighing between 0.5 and 15 pounds. It’ll get the job done. This is the scale I ended up going with after Steve Wozniak recommended it on the podcast last year. It’s heavy duty and robust and will last a long time with proper care. No digital components, just good old fashioned analog. The all stainless steel body and sturdy construction won me over. I sent it into the IFGA to get certified and it passed with flying colors. This scale is popular since it’s digital, accurate, and cost-effective. I know someone who’s run a calibration test on it right out the gate and found that it had a 4% discrepancy from the real weight. Not bad at all! There is a nice locking function on it as well that will come in handy if you want to record your weight after releasing the fish. spring & handle with aluminum tube. If you want a no-frills scale, look no further. It comes out of the box accurately and some people verify using at home weights that they hang from the hook. Since this is not digital, you won’t have to worry about batteries or electronics wearing out. Plus, this scale is handy if you have other tension measuring activities around the house or workshop. This scale is popular on the tournament scene and gets the job done. The screen requires a bit of force to operate and since there are quite a few functions, it means there will be a learning curve. Granted, if you’re in the business of tournament fishing, you’ll be fine. I wouldn’t trust the temperature sensor because the sun has a tendency to throw it out of range. Overall, if you need a low-cost tournament scale, this one won’t let you down. Q: Do fish scales also have measurements? A: It depends on the model you purchase. You can elect to have them with or without (we recommend with). Q: Are fish scales really accurate? A: If calibrated correctly, yes they are. This is especially true with today’s more advanced digital models. Q: Why do you need a scale that stores weights. A: There are a few reasons this is a good idea. One, for example, would be if you wanted a total for the days catch. Q: Do fish scales float if dropped in the water?